There are just so many incredible sequels coming out in 2018! After a lot of flailing with Kristin of Super Space Chick over the many upcoming sequels we're excited for, we decided it could be fun to start a monthly feature where we got to spotlight the ones we're most excited about. And that's how Sequel Spotlight was born! Each month, we're going to be talking about a newly released sequel, and letting you know either why we're excited about it or why we loved it (if we're already gotten the chance to read it). Without further ado, let's dive right in to my featured sequel for the month of March - Restore Me by Tahereh Mafi. 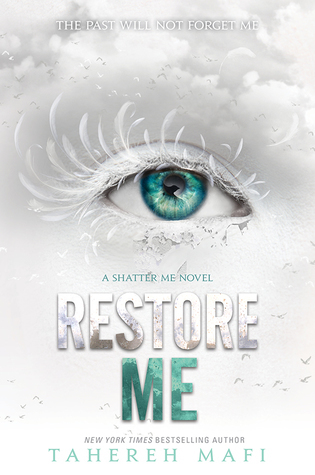 Why am I excited to read Restore Me? I quite enjoyed the series overall, though it's been some time since I've read it. I'm really interested in seeing where Mafi takes this new chapter in Juliette's story. Plus, you know, I've always been a major Kenji fan and I've heard that he's in this one plenty!